Last Tuesday (April 12) was the greatest international holiday of them all: Free Cone Day at Ben & Jerry’s. You could have walked into any Ben & Jerry’s store, including in Israel, and received a free scoop of the world famous ice cream. Ostensibly as part of these lofty goals, in 2014, the Ben & Jerry’s Foundation donated $2,500 to an organization called Jewish Voice for Peace (JVP). Although JVP’s name may sound benign, even admirable, in reality it advances the exact opposite message. JVP is a U.S. based organization, which identifies itself as the Jewish wing of the Palestinian solidarity movement. This highly controversial group has promoted anti-peace boycott, divestment and sanctions (BDS) campaigns on campuses, in churches, and other frameworks, demonizing and delegitimizing Israel. JVP also calls for an end to U.S. aid to Israel, falsely accusing Israel of “apartheid” policies. Executive Director Rebecca Vilkomerson explains JVP’s strategy is to create “a wedge” within the American Jewish community to generate the impression of polarization over Israel. They do so by challenging support for Israel in the Jewish community, toward the end goal of eliminating the U.S. government’s economic, military, and political support for Israel. In other words, JVP’s ideology is antithetical to Ben & Jerry’s Foundation’s peace-building mission. But, beyond that, JVP actually calls for a boycott of Ben & Jerry’s products! This, of course, is absurd. Any human being who wants to pay for and enjoy Ben & Jerry’s ice cream should be entitled to do so. (On Free Cone Day, you don’t even have to pay for it.) And, more importantly, Ben & Jerry’s is far removed from the illegalities alleged by JVP. By its own dizzying logic, JVP should actually also be boycotting itself. After all, it profits from donations received from a charity, connected to a company, with a subsidiary in Israel, whose distributer sells ice cream to lots of stores, some of which are located in settlements. Put another way, JVP bites the hand holding the cone the group is eating. Perhaps it is time for JVP to propose a new flavor of Ben & Jerry’s ice cream: Delicious Irony. Robin Joshowitz received her Bachelors degree in History and Economics from Stern College for Women. 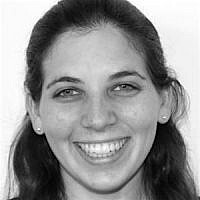 After moving to Israel, she earned her Masters degree in Government and Policy with a specialization in Counter-Terrorism from IDC Herzliya. She currently works as a researcher for NGO-Monitor.